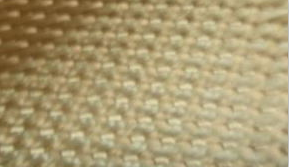 HP3786HTR Heat Treated Woven Fiberglass Fabrics--Shanghai Hoprime Industrial Co., Ltd.
Our fiberglass cloth is passed through a oven with high temperature for burning off the sizing and other organic elements of the cloth. After heat treatment, fiberglass cloth will turn to brown/golden color and it will has smoke-free property during the application, and good for enviroment. It’s the ideal fabrics used for welding blanket, fire protecting curtain, and general insulation wrapping. 5.especially for the application where smoke is not allowed.